DIYers, exciting times ahead... the holiday season is approaching! 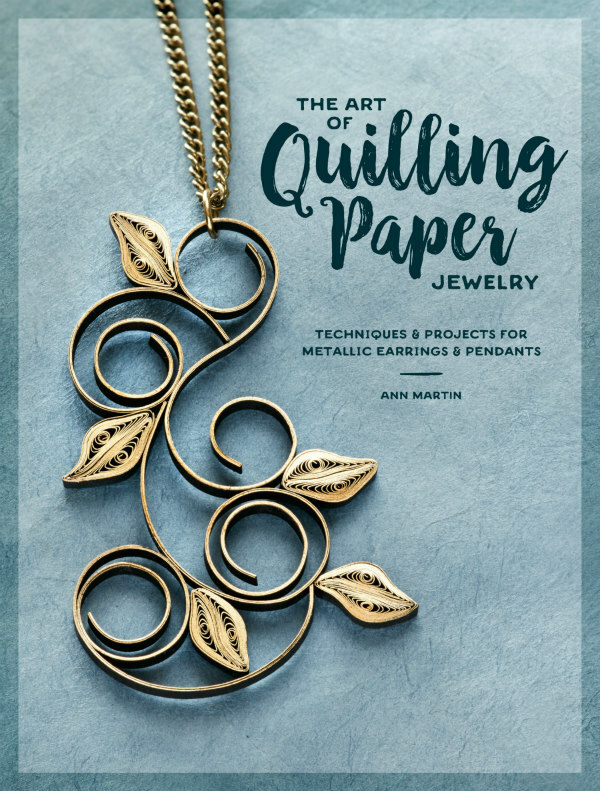 Because many readers are new to this blog in the several years since my first two books were published - All Things Paper and Creative Paper Quilling - I thought it might be helpful for gift makers to show a glimpse between the covers. 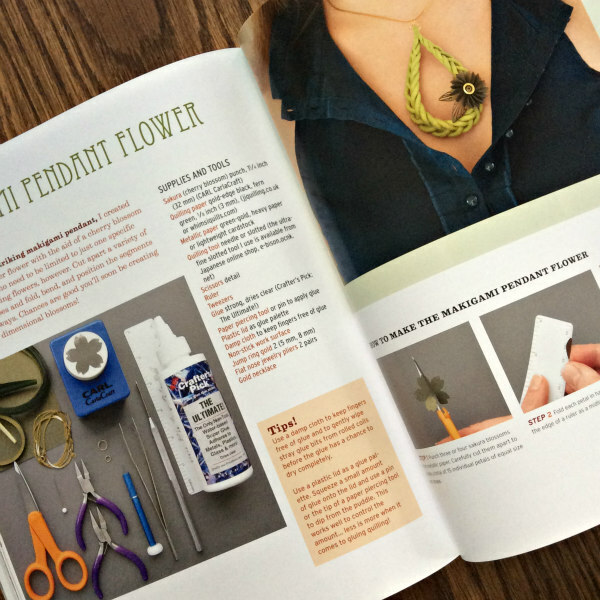 You'll find five step-by-step paper jewelry tutorials in each book. 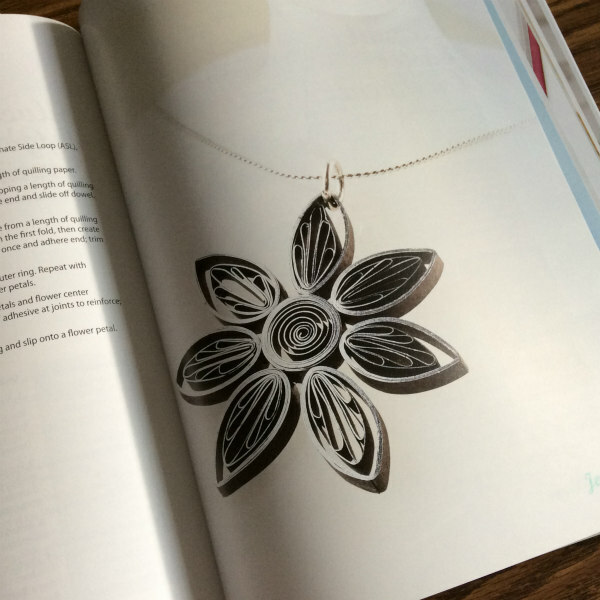 First we'll scroll through all of the jewelry designs that are included in All Things Paper - not just my quilled ones. Happily, there's still plenty of time to gather supplies and perfect your game before the holidays. Since discovering paper jewelry, I've made gifts many times over for friends and family. Like me, they love the surprise factor of wearing a piece of paper jewelry... people will comment on it and lean in for a closer look not realizing the material. "Paper? It can't be! That's really paper?" It is! 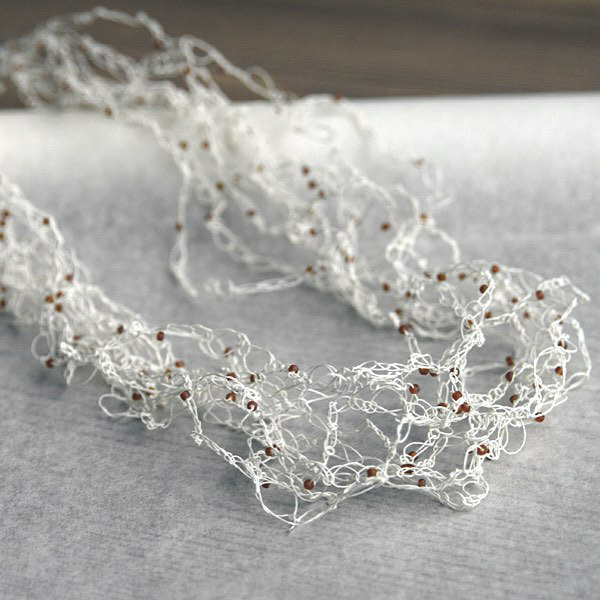 This Fine Paper Yarn Necklace is made using a finger crochet method. It's light as a feather and truly special. Designed by Linda Thalman, owner of PaperPhine and a paper yarn shop, she demonstrates how to make it via detailed instructions, even if you're brand new to crocheting. As with the silver and black Teardrop Orb Pendant shown above, this Antique Key Pendant is one of my quilled designs in All Things Paper. 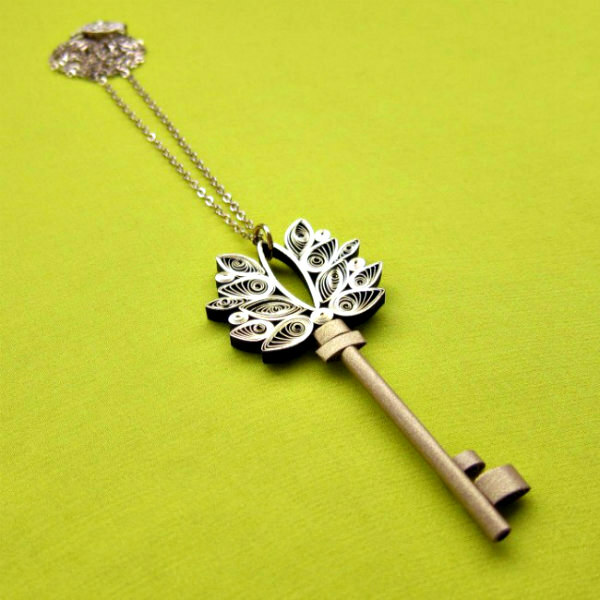 Designed before Tiffany & Co. began selling diamond encrusted key pendants, I was making these for friends that I modeled after old skeleton keys... there were so many beautiful keys back in the day! Licia Politis is an avid maker... I don't think there is any technique she hasn't tried. While her award-winning quillwork is exceptional, the project she designed for the All Things Paper book is a simple and fun one. You'll just need printer paper and a black marker to create your own Jungle Beads. 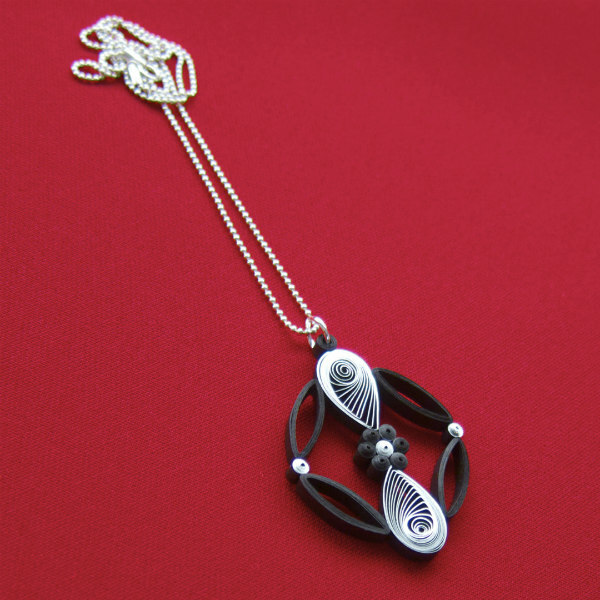 I teamed up with Benjamin Coleman, an innovative origami artist, on the Makigami Pendant project. He shows how to make a rolled newspaper - yes, newspaper! 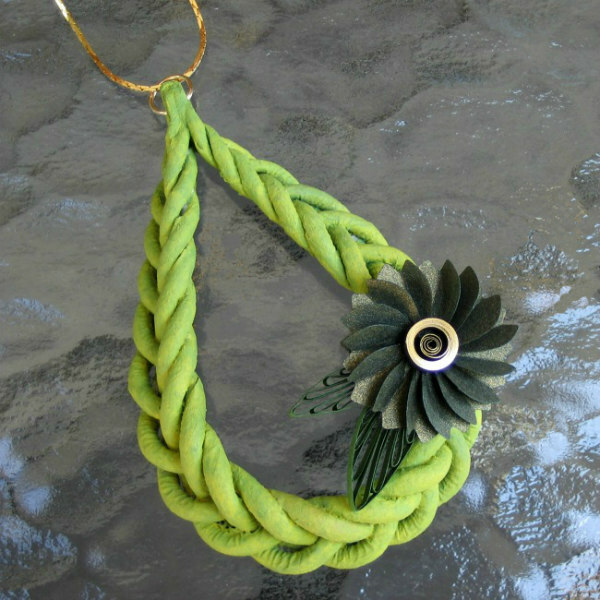 - braided base, and I walk you through the steps of creating the sculptural flower. Along with step-by-step instruction images and text, each project in the book includes a large photo of supplies and tools, as well as a detailed list. By the way, my daughter-in-law agreed to be my jewelry model, and as a thank you I let her choose her favorite piece from the projects I had a hand in making. Makigami Pendant for the win! Creative Paper Quilling teaches the art of paper rolling and folding from square one. You'll learn to create all sorts of pretty coils and scrolls, and be introduced to quilling supplies... you honestly need very few and that's something that I absolutely love about quilling. 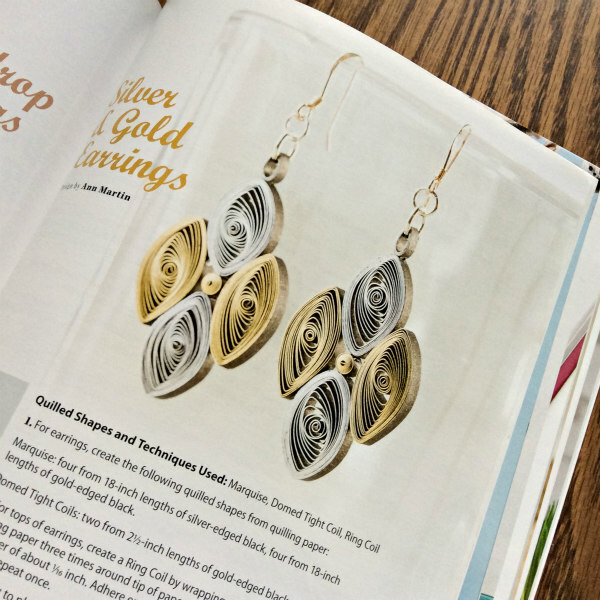 Step-by-step patterns are included for each of the projects that range from greeting cards, necklaces, and earrings, to 3D designs and framed art. As with All Things Paper, a number of talented project designers were brought together in Creative Paper Quilling. Humorous quilled card creator Sandy Diaz made the gorgeous Bloom cover art. It's an ideal project for learning a variety of quilling techniques, not to mention creating a dimensional word with paper strips. 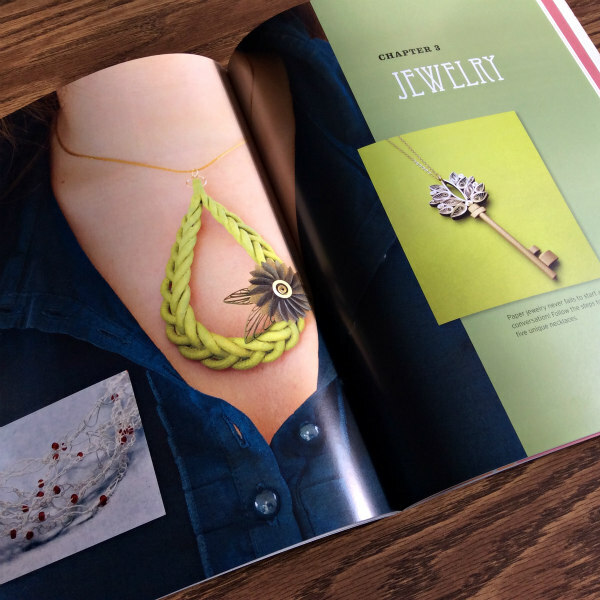 But since this post is about paper jewelry, here are the five jewelry pieces I designed that you'll find within the pages. 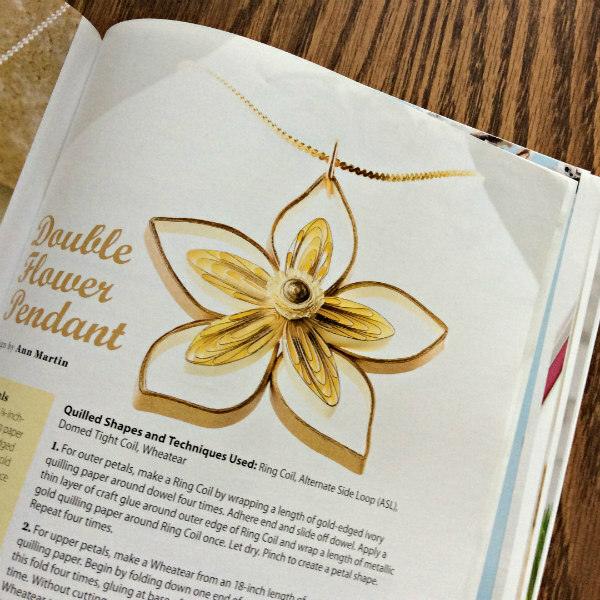 The Double Flower Pendant shows you how to do alternate side looping with just your fingers, and how to fringe a tiny flower. I love working with shiny metallic edge paper to make quilled jewelry because it truly looks like gold, silver, or copper. Rose gold is now available too! Quilling paper has come a longgggg way in recent years, yet it's still 'just' paper so is far from precious. 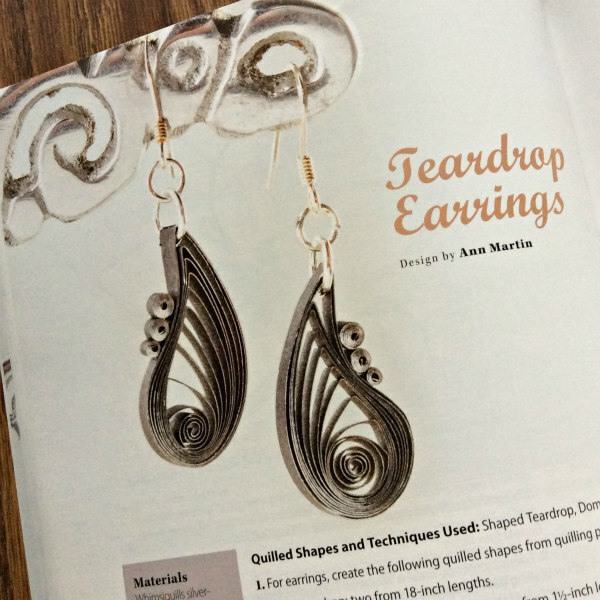 Creative Paper Quilling includes two pairs of earrings. These shaped teardrops are the simplest design and are accented with a trio of domed tight coils. After the pair was photographed for the book, I sent them to an online friend as a thank you for inviting me to be on her podcast. I could tell she was sincerely delighted... that's often the reaction of someone who has never seen quilling in person. They're so light, she said, I don't even remember I have them on! 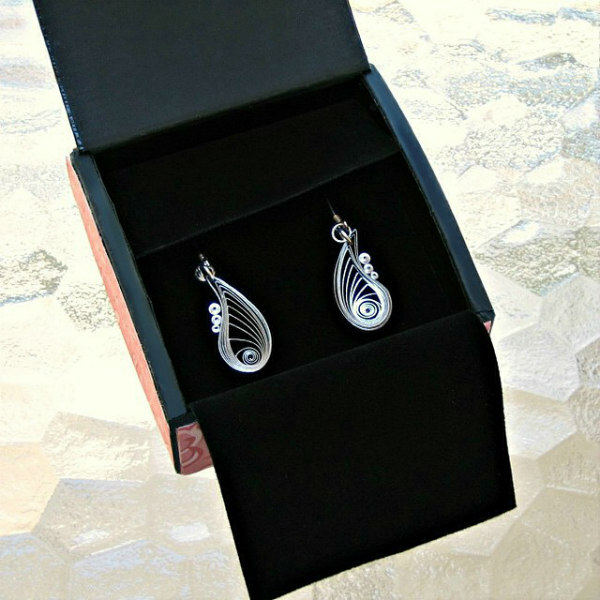 I sent the Silver and Gold pair that features mixed metal marquise coils to my friend Allison Patrick in New York. She has done some paper rolling - you might recall her very popular quilled city skyline - and she told me how much she enjoys wearing them too. 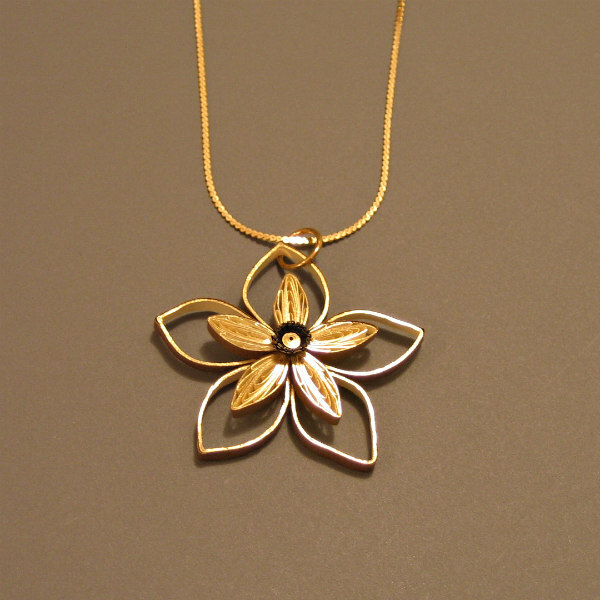 This Diamond Flower Pendant is a favorite of mine because of the way the leaf tip nestles into a corner of the little frame. 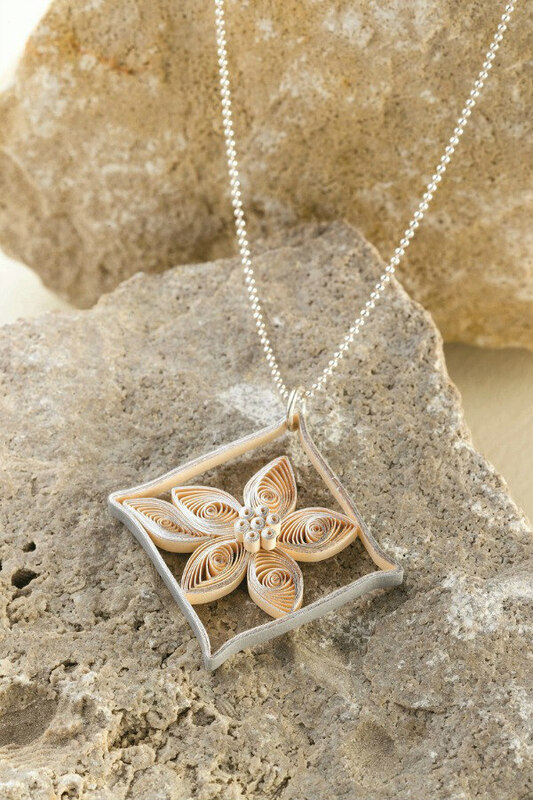 Lastly, this Alternate Side Loop Flower Pendant goes together quite quickly and like all quilled designs, can be increased or decreased in size according to personal preference by using longer or shorter quilling strips. 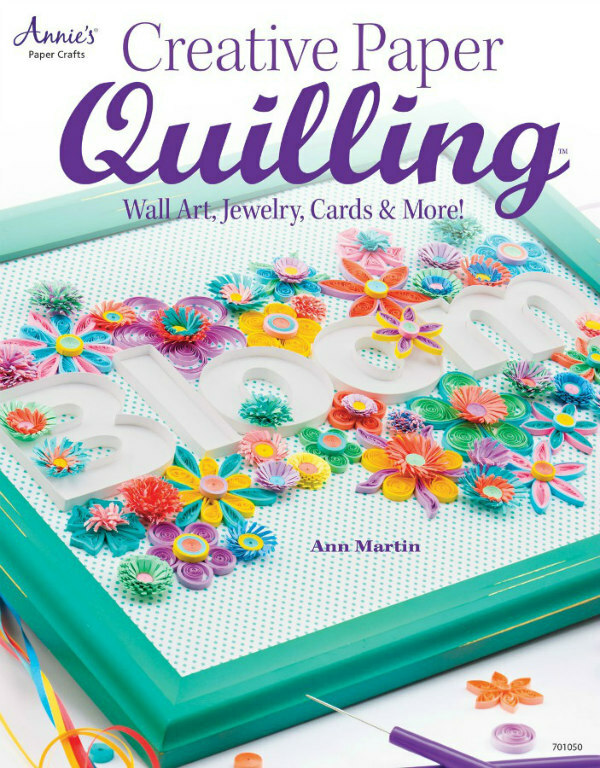 Both All Things Paper and Creative Paper Quilling are available on Amazon or can be ordered from your local bookstore. Another thought - check your local library. If they don't have them, they should be able to acquire one or both via an interlibrary loan. Sometimes they'll even order a copy for the branch just because it's been requested. 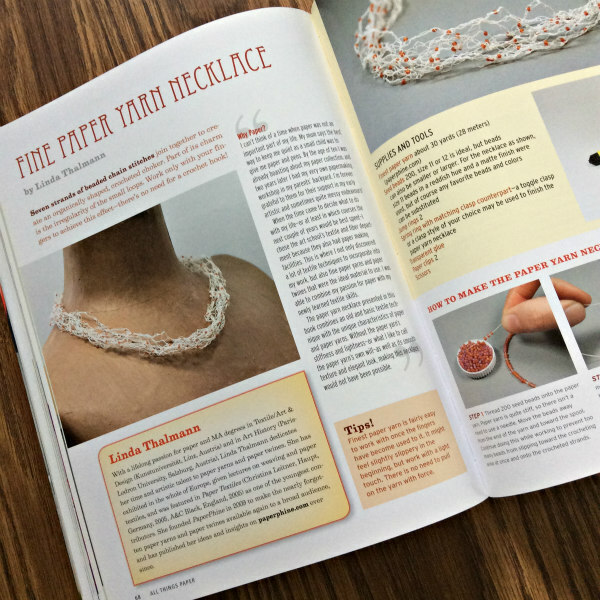 If the idea of making paper jewelry to give as gifts appeals to you, you'll find twenty more designs in my most recent book... The Art of Quilling Paper Jewelry. One last thing and it's exciting! 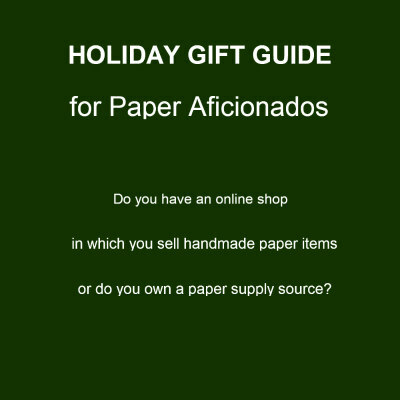 I am compiling a Holiday Gift Guide for Paper Aficionados that will go live on the blog in early November. A free and selective publication, it will be promoted widely across social media and linked to via the All Things Paper newsletter that goes out to 2000 subscribers. If you have an online shop in which you sell your handmade paper art or paper craft, or if you own a paper supply source (holiday gift wrap and card/stationery designers are welcome too) and would like to be included, email me at ann.b.martin@gmail.com by Friday, November 2, 2018. Send one enticing JPEG image sized to 1080 x 1080 pixels along with your name, a link to your shop/website, and a short description (2-3 sentences) of what you sell. If your image is featured in the Holiday Gift Guide, in return I ask that you share the link via social media. While I would like to include all submissions, that may not be possible. However, I look forward to future opportunities in which I will be able to help you promote your paper-themed business. 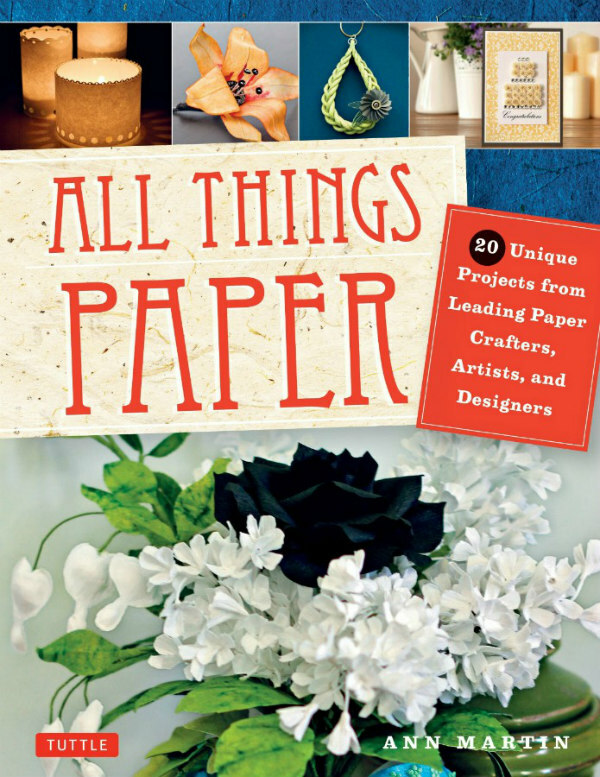 All Things Paper is an Amazon Affiliate.